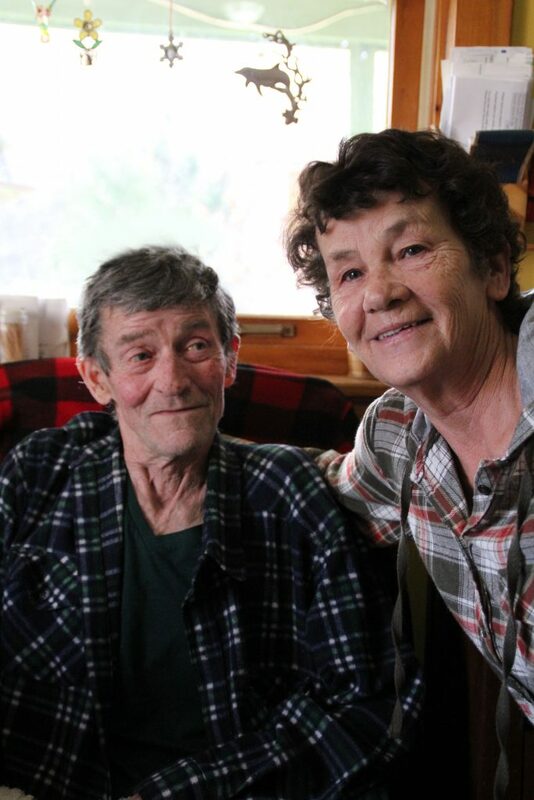 Theresa and Carl MacLeod have lived in Barney’s River, Pictou County all their lives. It’s there they married, raised their children, and in 1985 built a family home on the same road where Carl grew up. Like many Nova Scotian families, their son, Paul, works in Fort McMurray. While visiting his parents he noticed the old family home was in desperate need of work. It was cold, damp and costing his parents a lot of money to heat in the winter. Paul and his girlfriend recommended applying for HomeWarming, “because they knew we couldn’t afford to do the work ourselves,” says Theresa. HomeWarming helps low-income homeowners in Nova Scotia complete energy efficient upgrades, such as insulation and draft-proofing, at no cost to them. The program is delivered by Efficiency Nova Scotia and Clean Foundation with funding support from the Province of Nova Scotia and Nova Scotia Power. “We were accepted and before we knew it the work was completed, just in time for the cold weather,” says Theresa. The house is heated by oil and wood stove. On average the MacLeod’s were paying $1,800 annually to keep the house warm. The home had never been properly insulated, and high construction costs prevented the work from being done throughout the years. “The prices of wood and oil just kept going up and we didn’t know what we were going to do from one year to the next,” says Theresa. High heating cost wasn’t the only reason the MacLeod’s needed the work done. Carl suffers from Chronic Obstructive Pulmonary Disease (COPD), a condition that forces him to take oxygen a few times a day and has limited his mobility. His comfort and wellbeing are top concerns for Theresa. Trinity Maintenance Solutions, an Efficiency Trade Network member with Efficiency Nova Scotia completed the work on the MacLeod’s house. In addition to insulating their attic, basement, headers and exposed floors with spray foam, they also installed a new ENERGY STAR® dehumidifier in the basement. Carl’s condition was also top of mind for Trinity. To limit the amount of dust while the work was being completed, all cutting was done outside and cleaned up every day. HomeWarming customers could save up to $900 per year – although each home is unique so it’s difficult to give an average. For Theresa, this means saving on heating and a more comfortable and healthy home for Carl. “I’m so glad Paul recommended this to us. There is no way we could have done this by ourselves,” says Theresa.